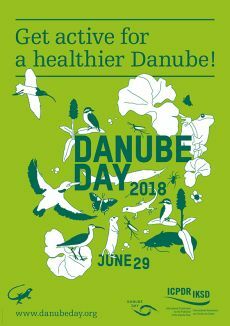 An effective social media campaign, run by the EC Directorate-General for Environment, resulted in messages being seen by 260,000 people during Danube Day 2017. This was accompanied by 2,400 likes and reactions on Facebook. Actions were also coordinated with tweets from the Commissioner for Environment, Maritime Affairs and Fisheries, Karmenu Vella, and by EU Regio Interreg. Photographs of past events can be viewed on the Home, Danube Art Master and Review galleries. Please see our press archive for media coverage of the 11 Danube Days between 2004 and 2014. Following a review of funding priorities, this service was discontinued in 2015. As most coverage is in national languages, please contact the national coordinator for queries over past articles. Highlights of press coverage for the 11 Danube Days from 2004 to 2014.